I’m neck-deep in investigating Romania’s Communist past, but today I’m taking a break to say happy birthday to our little cat, Hera, who turns 1 year old this week. During the heat of early August 2016, we began hearing terrible cries from a scared little kitten. Somehow, she had taken refuge in the wheel well of a Mercedes car parked on the street outside our courtyard. Initially, two of our neighbors decided to rescue this little girl, but later they decided that it was too much work. One neighbor asked us if we would take her, and we said no. But several days later, the neighbor was unable to find anyone else to take her, so we agreed to welcome her into our home. Hera has been a lively spirit more bent on mischief than sweet affection during her time with us, but she has brought a lot of joy into our lives. A rabid eater since she was too small to negotiate the stairs, Hera is now a very healthy full-size adult with incredibly soft fur. This week, the neighbor’s tree began dropping hundreds of apricots, and Hera decided that they make excellent toys. 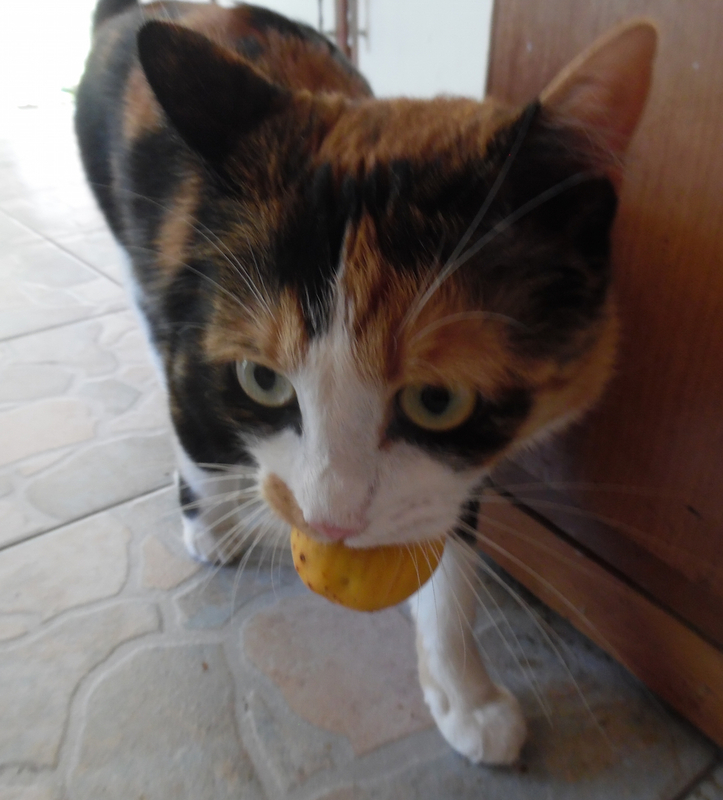 Instead of bringing us mice or birds as “presents”, Hera has been delivering a steady supply of bruised and dirty apricots, a sight that never fails to make me laugh. 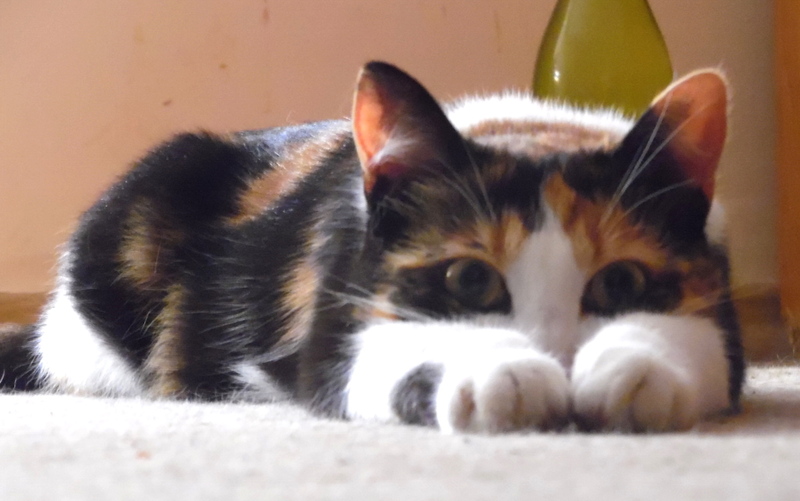 I really hope that one day I can snap a photo of her with an apricot in her mouth because it is incredibly cute. Until then, we wish her many happy years of continuing pranks and her unique brand of vocal affection. Cute, cute, cute cat! Happy birthday! And congrats that you adopted her..